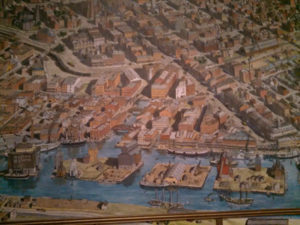 From 1817 to 1825, the building of the Erie Canal was an amazing American STEM (Science, Technology, Engineering & Math) story. 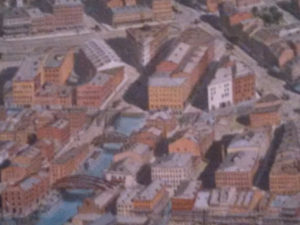 The canal’s terminus at Buffalo connected and helped create the America we know today. The footprint for the Erie Canal terminus is in place with water and ice, bridges and people at Canalside. The Bicentennial of the Erie Canal’s construction and completion has arrived – 2017 to 2025. 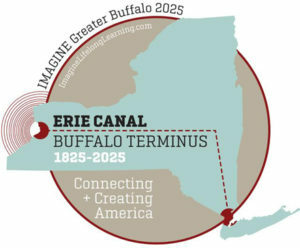 “IMAGINE Greater Buffalo 2025” suggests creating “Old Town” Buffalo at Canalside. 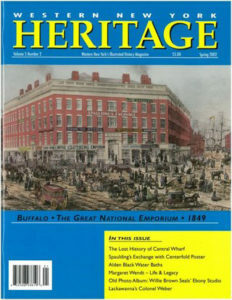 Start with rebuilding the original 1845 Spaulding Exchange featured in the Spring 2002 WNY Heritage magazine and adjacent buildings for stores and restaurants on the site where they were demolished in 1939 to build the Memorial Auditorium. 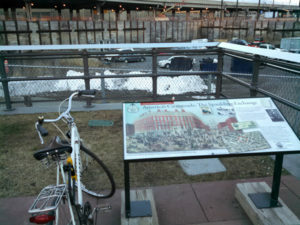 Fill in the hole with much needed underground parking and perhaps consider this becoming a new Exchange Station for Amtrak.